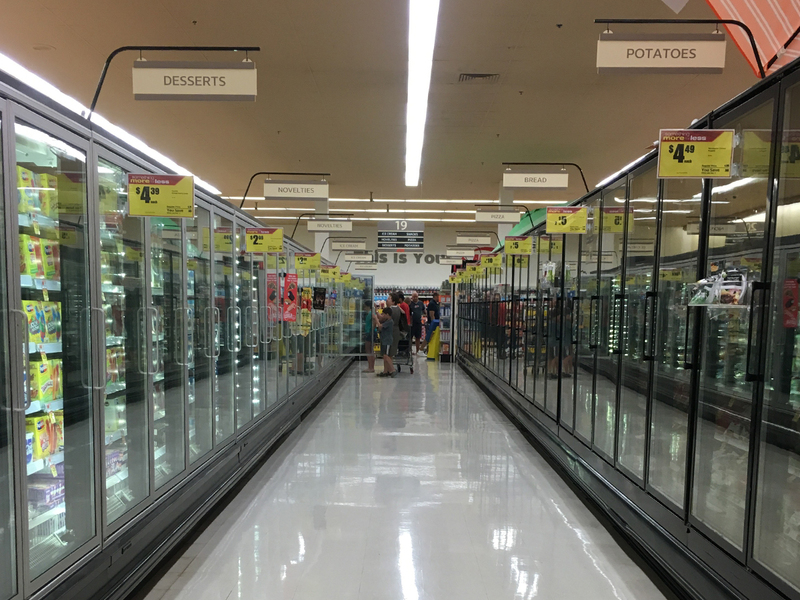 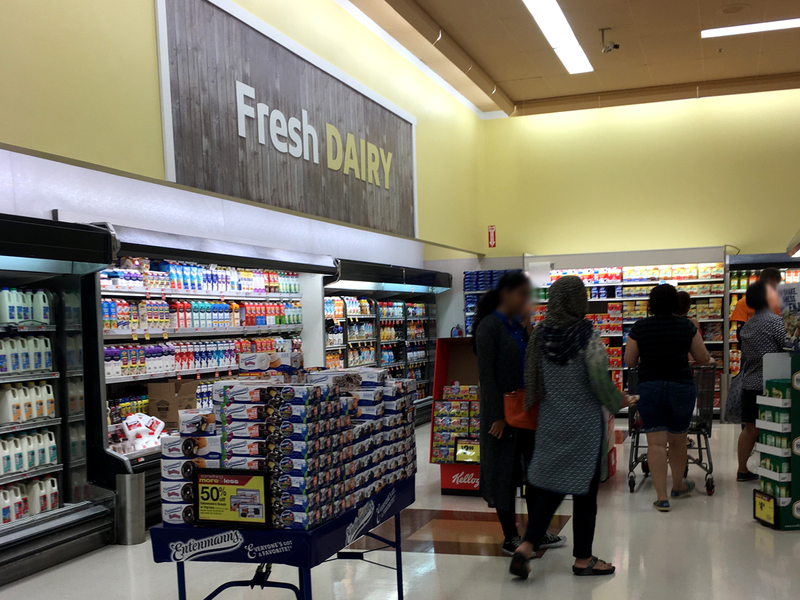 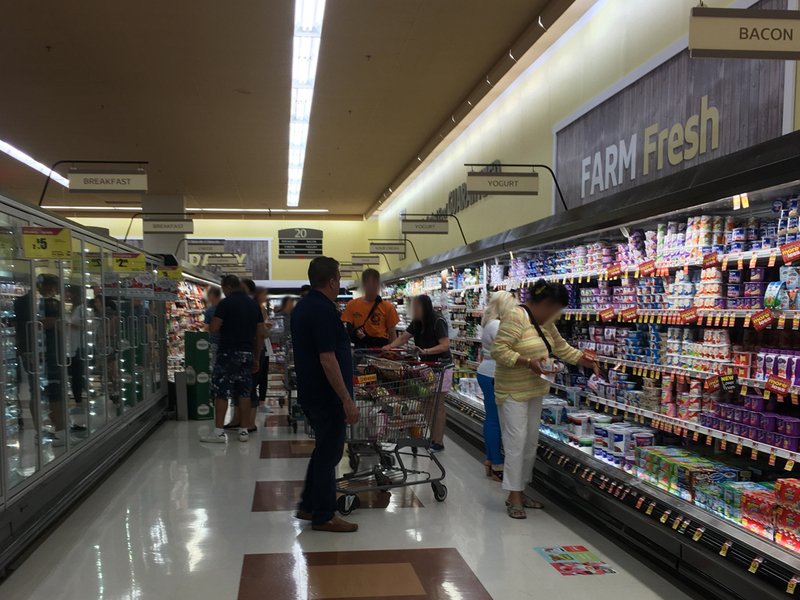 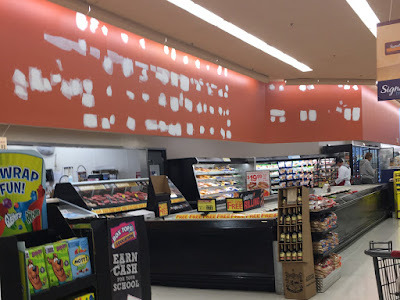 Supermarket Fan also informs us that no upgrades have been made to the interior at this time. The checkout lights haven't even been replaced. Updated Pharmacy sign as well! 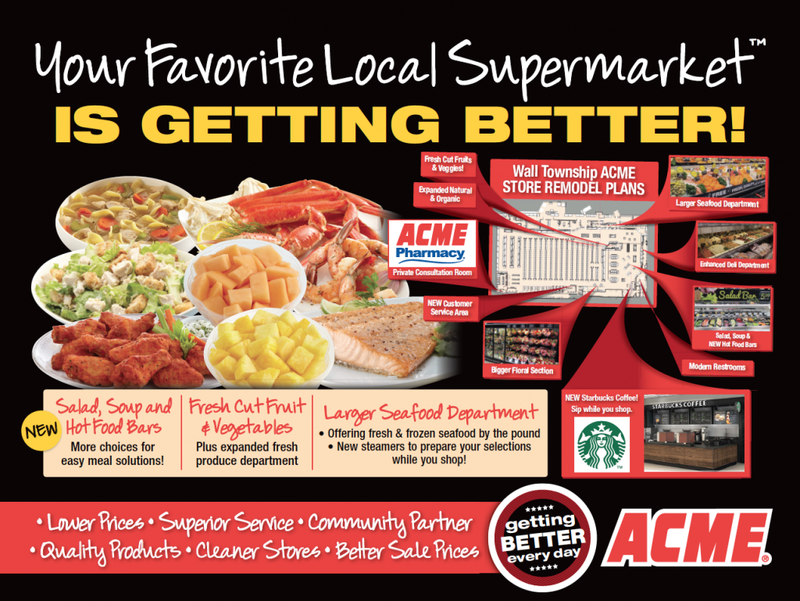 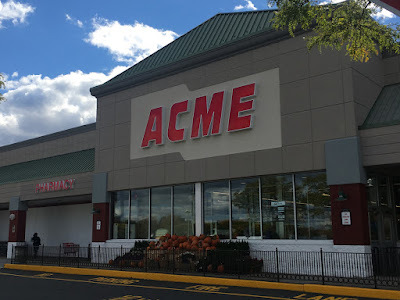 Grand Reopening of Wall Township Acme! Ribbon cutting ceremony this morning at 9:00 am! 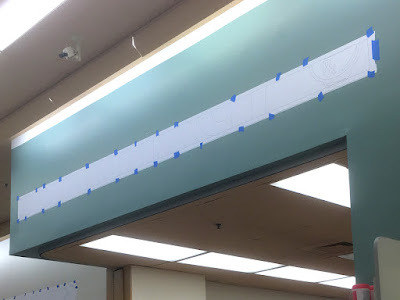 For more details on the remodel, click here. 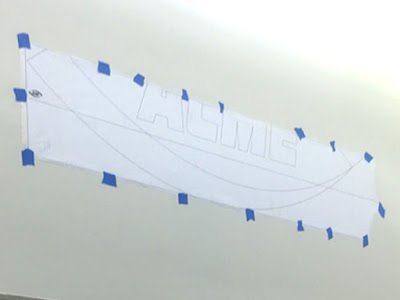 in progress is available here. 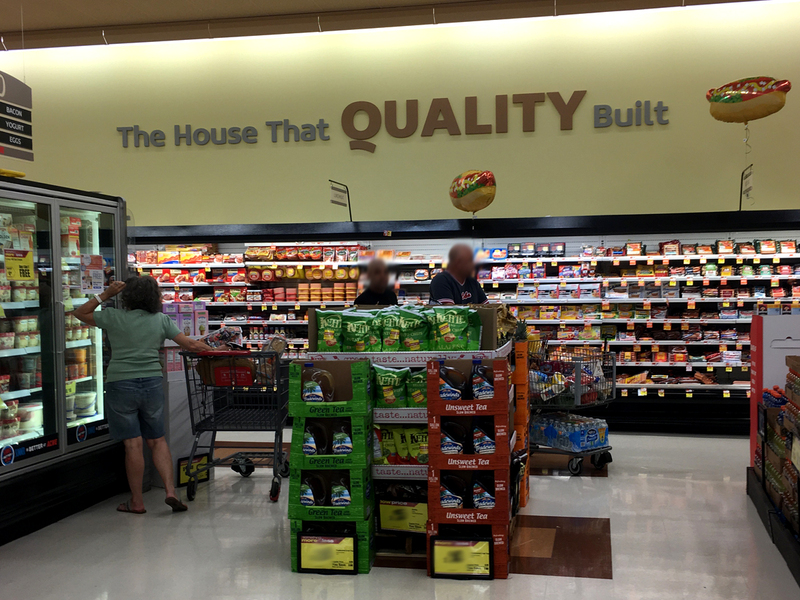 Quality Built Coming to Edgewater! 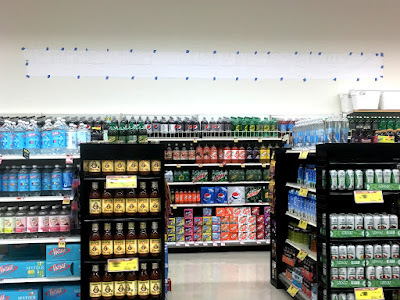 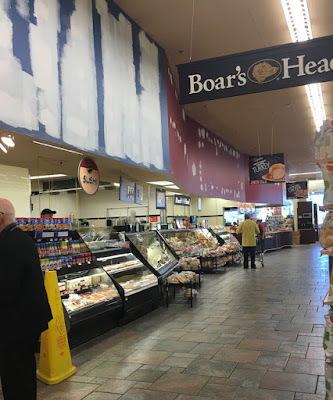 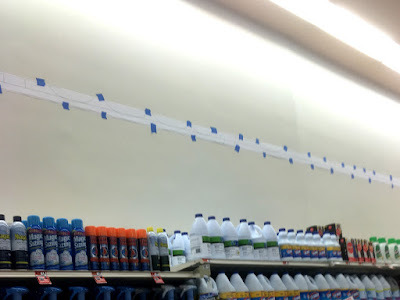 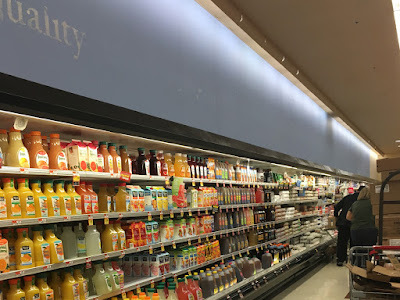 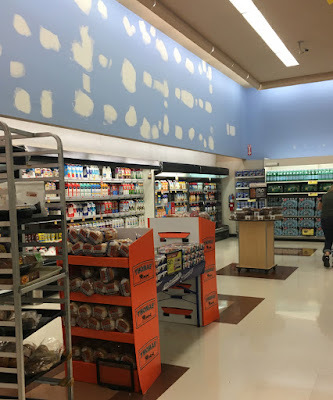 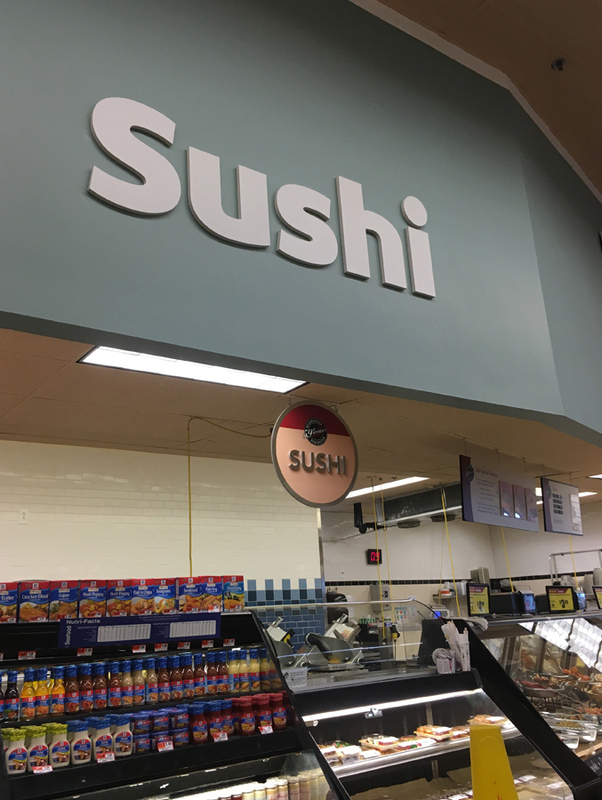 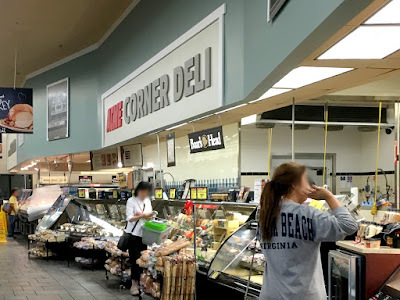 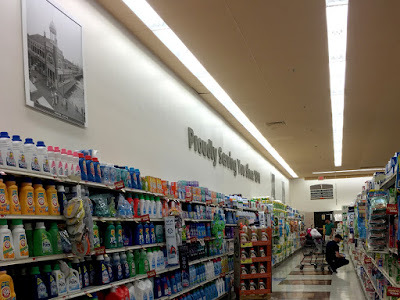 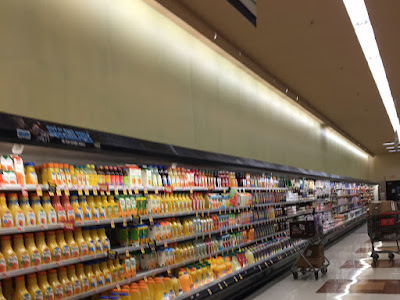 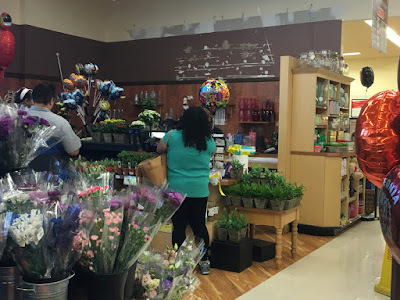 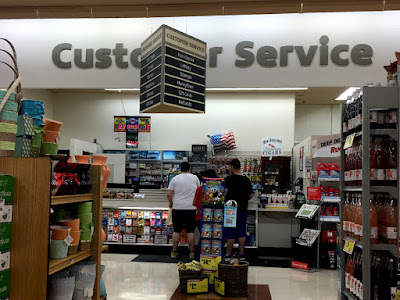 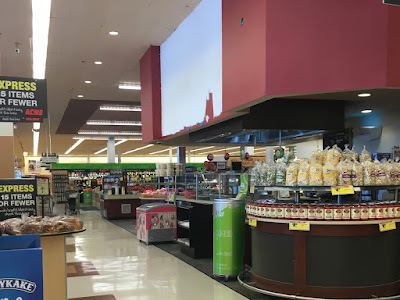 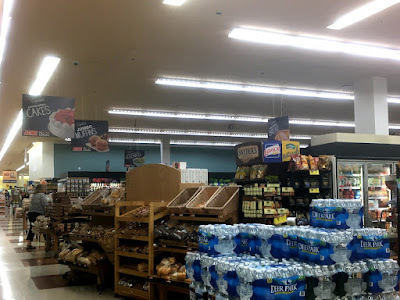 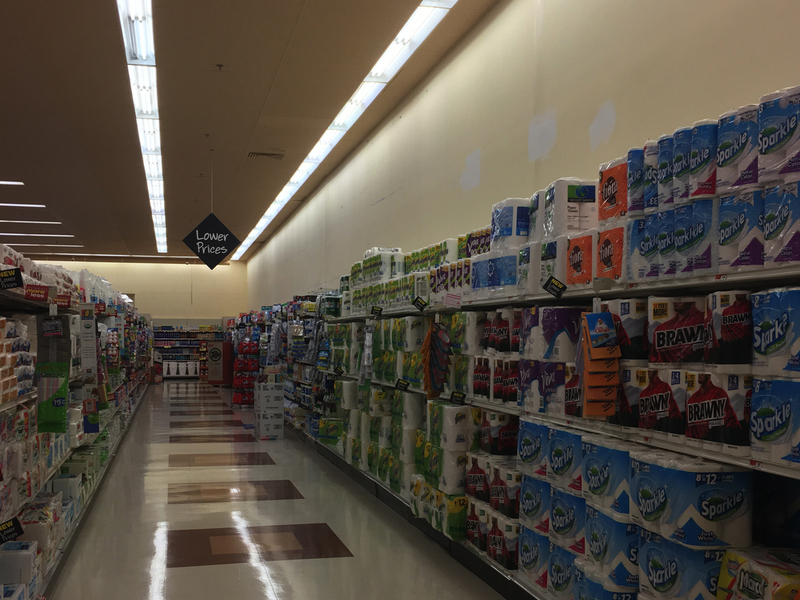 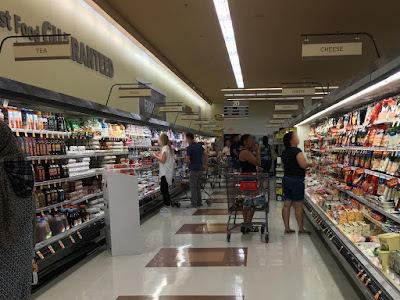 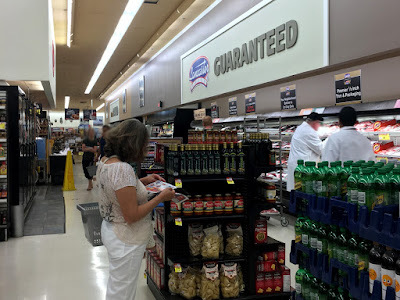 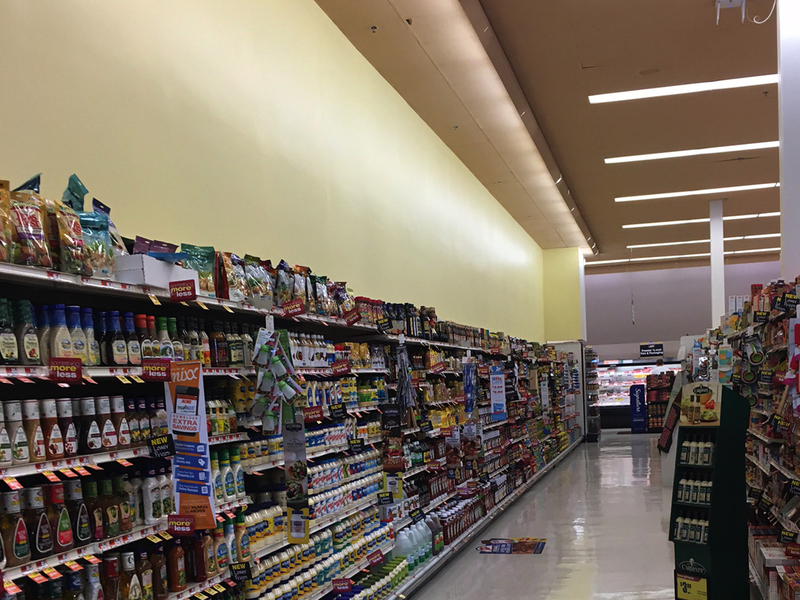 Every time I have stepped in the store over the past couple of months, I've imagined seeing the walls stripped of it's Pathmark décor and slathered with spackling in preparation for a remodel. 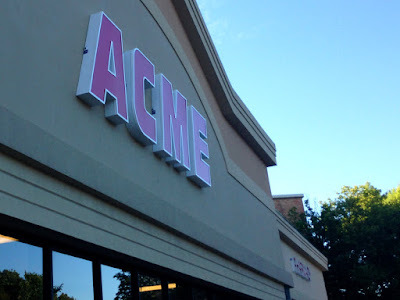 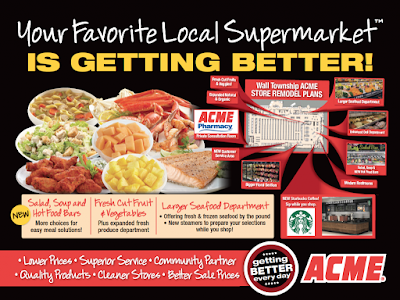 My hopes have been even higher lately as Acme is ramping up its remodels. Well, last Thursday evening, I walked in and saw exactly what I have been imagining all this time! 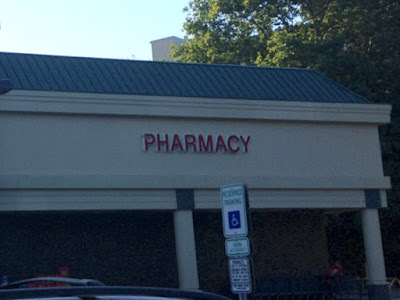 Funny thing... 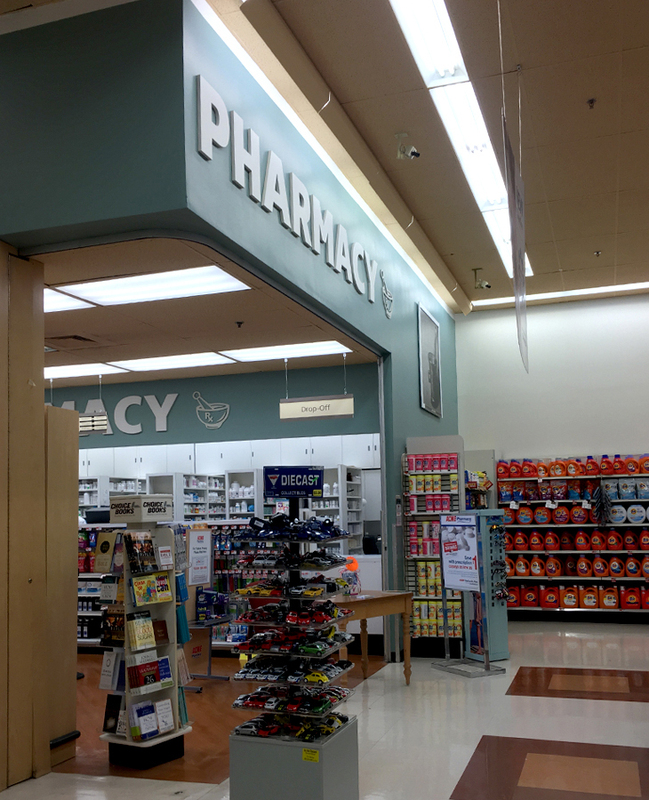 I was in a rush and entered through the Pharmacy door which I'm pretty sure I've never done before. This put me over by the first aisle where the first thing I noticed was the paper product image gone from the wall. 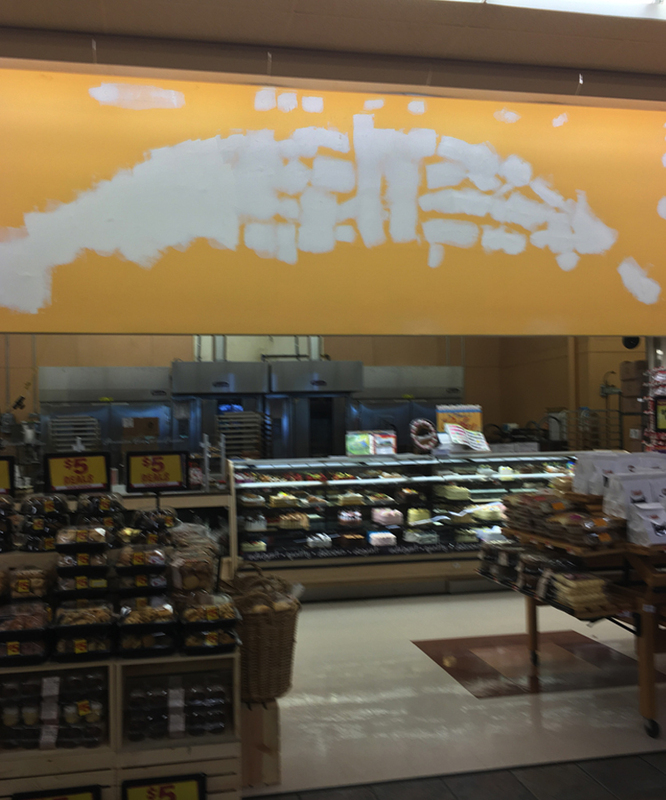 At first I though it may have fallen off but the I took a quick look around to find ALL the décor removed from every wall! 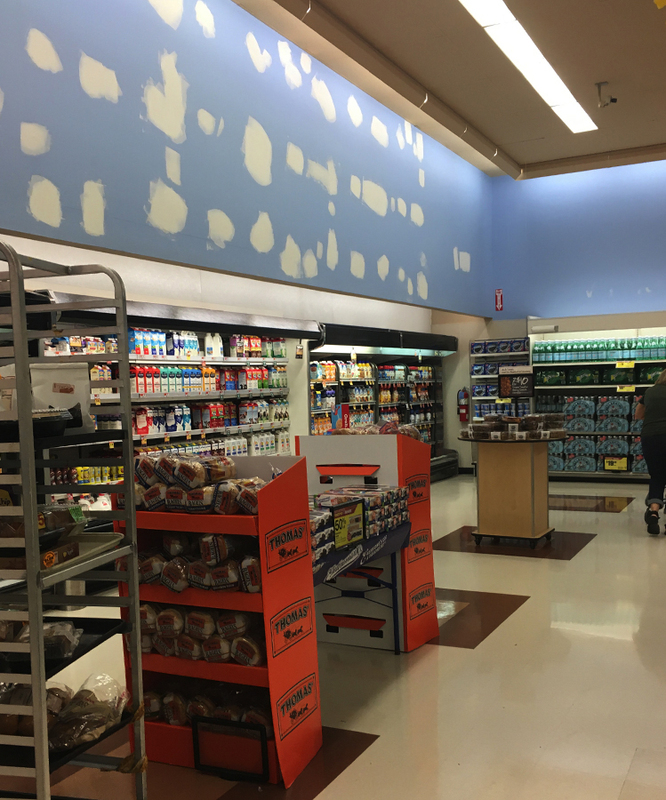 As of last Thursday, the remodel looks to be just a décor swap. 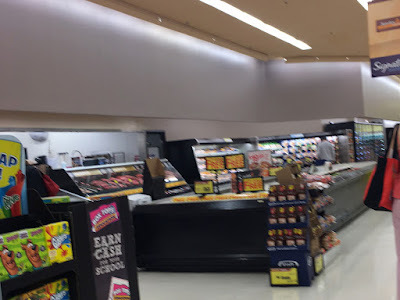 No reset is happening, the floors are not being touched and no new cases. 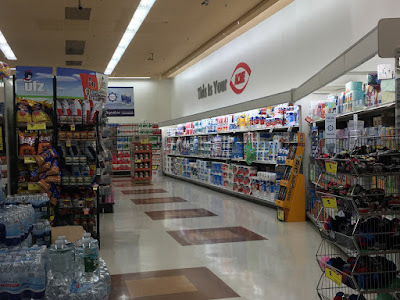 The store was fully remodeled in the mid-2000's so everything is still in decent shape. One thing I'm hoping for is for the ceiling to get painted back to white. 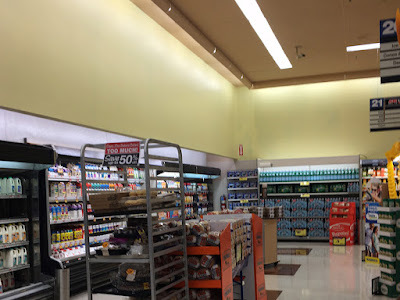 Not a fan of the beige treatment that both Pathmark and A&P have done during their 2000's remodels. This will be the third remodel I've watched this store go through in the past 17 years. 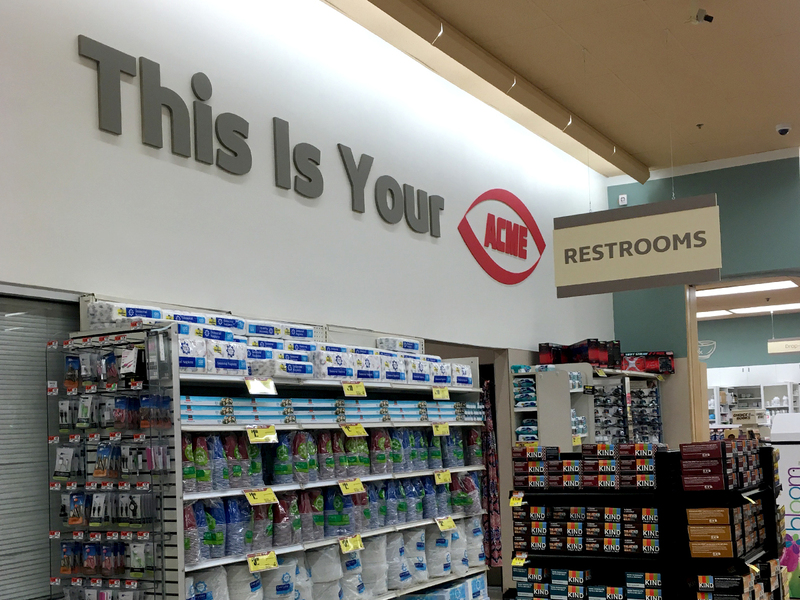 Perfect spot for the retro logo wall! 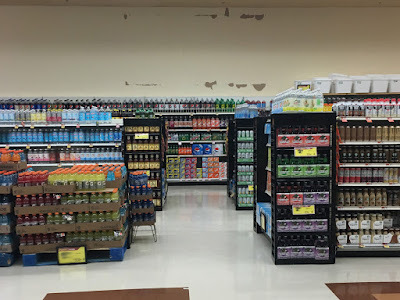 As we've seen, the acquired A&P stores haven't been getting the logo wall. 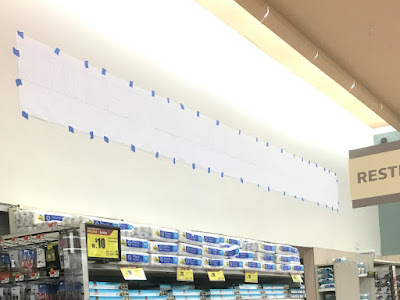 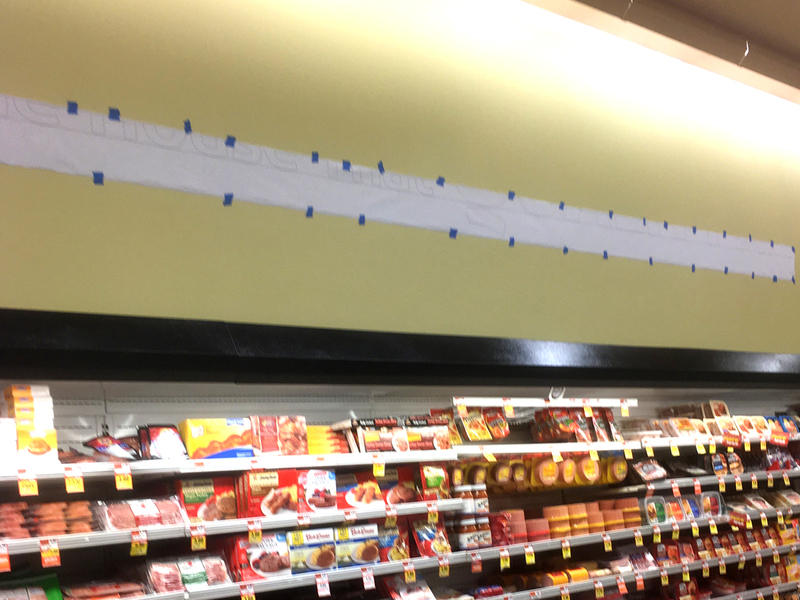 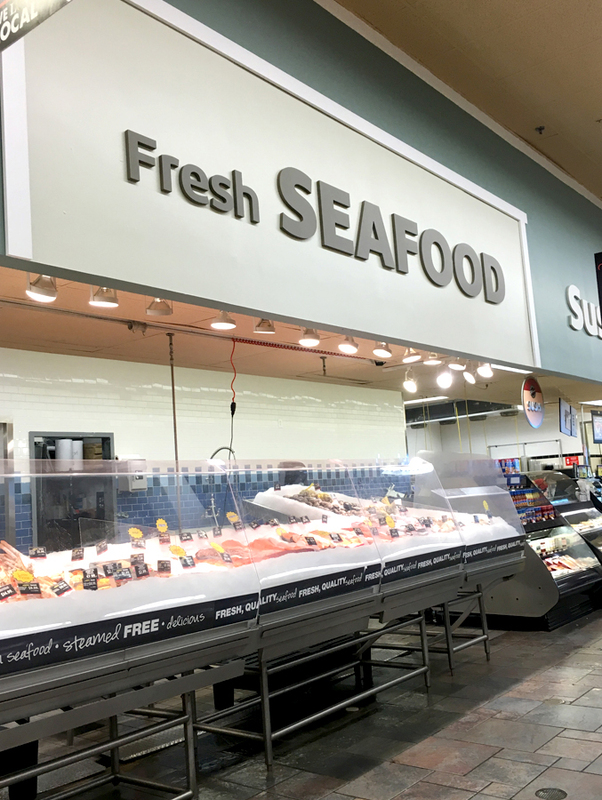 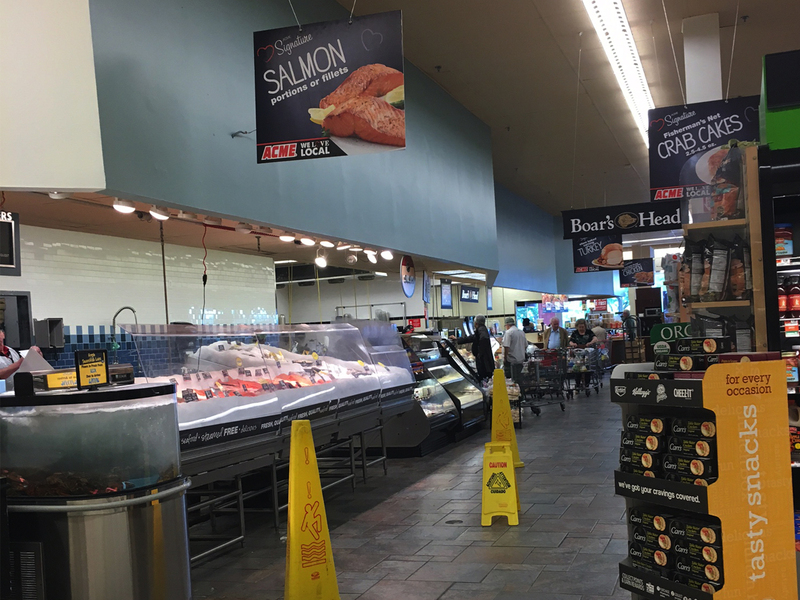 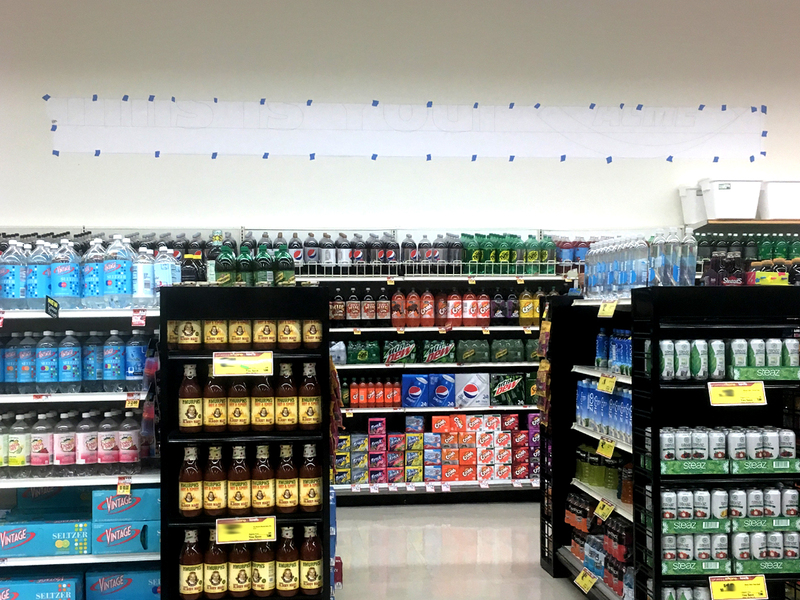 This store does have a ton of wall space to be covered since the Deli and Seafood departments are out on the sales floor. and the Quality Built colors have arrived! Seafood will have the same blue as the Deli instead of the gray that it is used in the Meat Department. Just one coat of yellow in Dairy but this area of the store is already looking better! I'll try not to go overboard with updates on this store but since I'm in here several times a week, I might not be able to help myself. So here's how it's done! This wall will say "This Is Your Acme". Produce ceiling has been painted to match the rest of the store. Acme logo going up around the corner from Seafood. 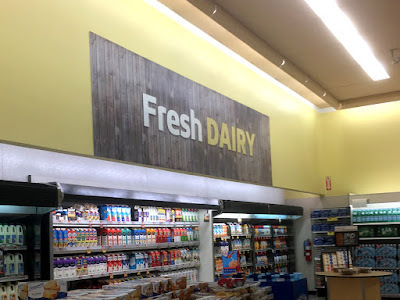 Dairy sign before the white frame went up. 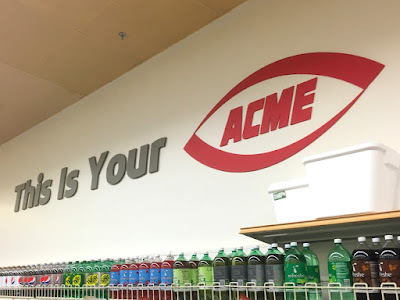 Third area of the store that will be getting "This Is Your Acme". 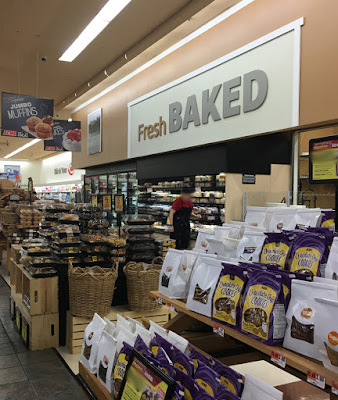 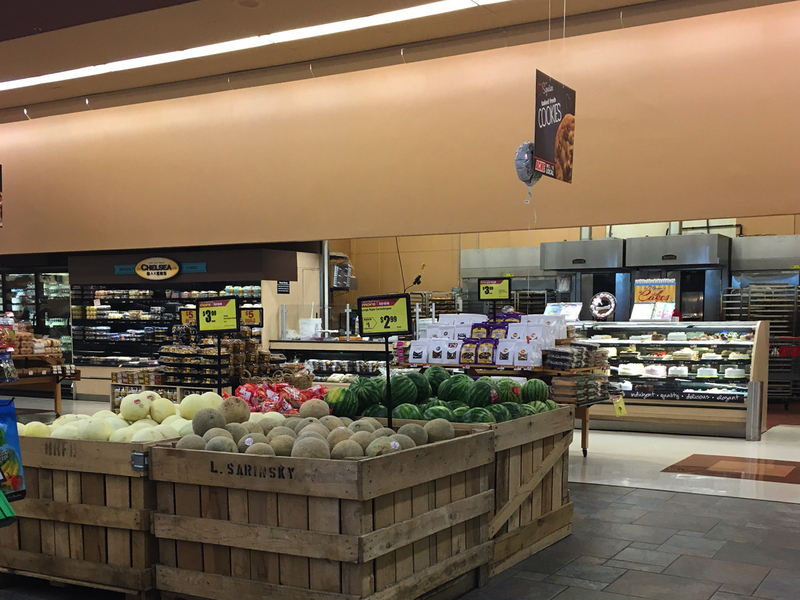 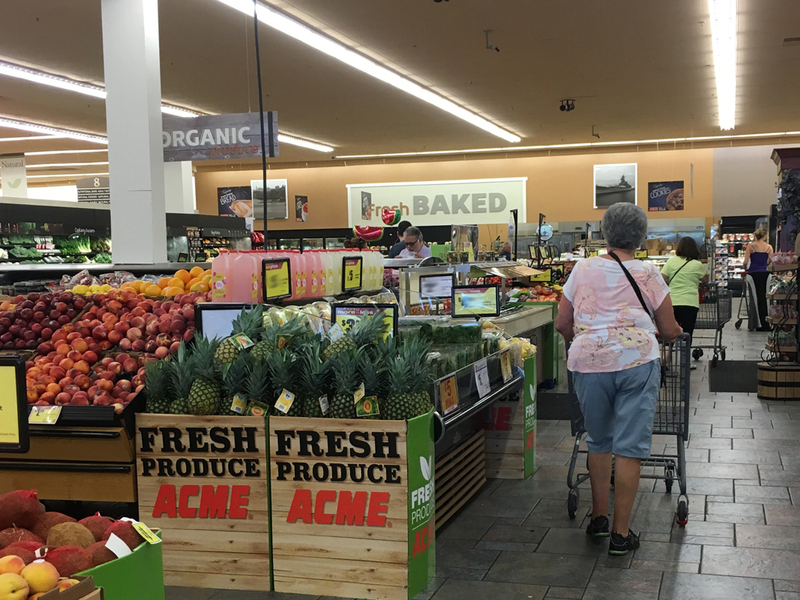 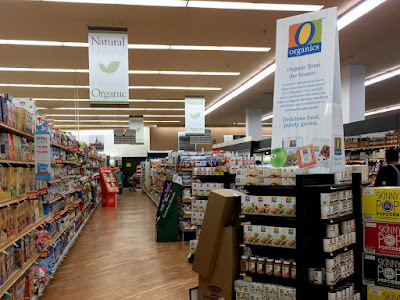 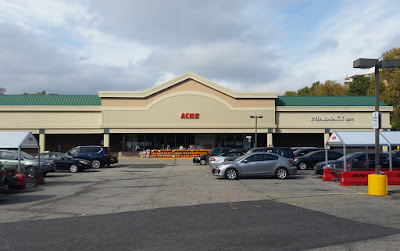 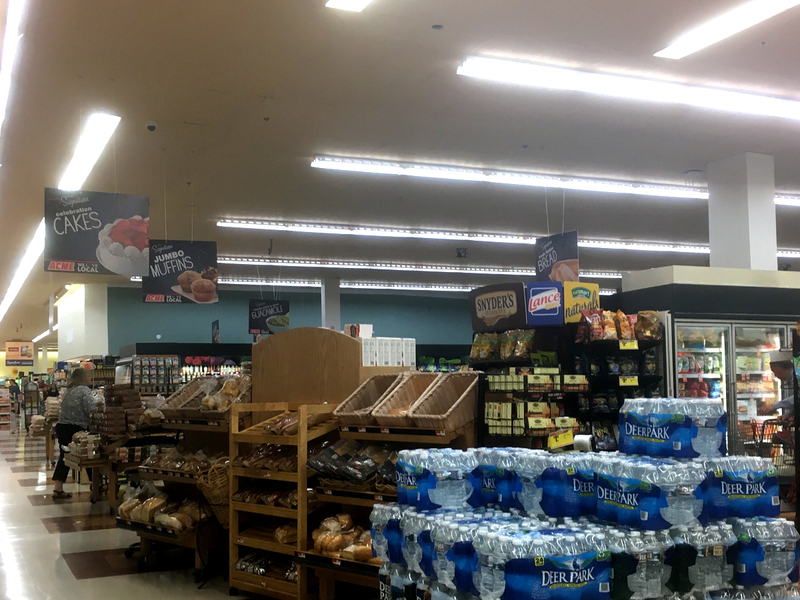 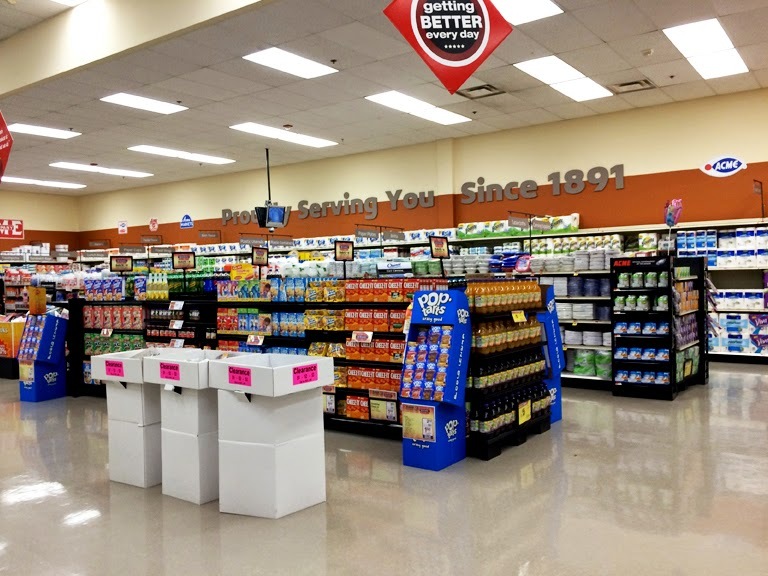 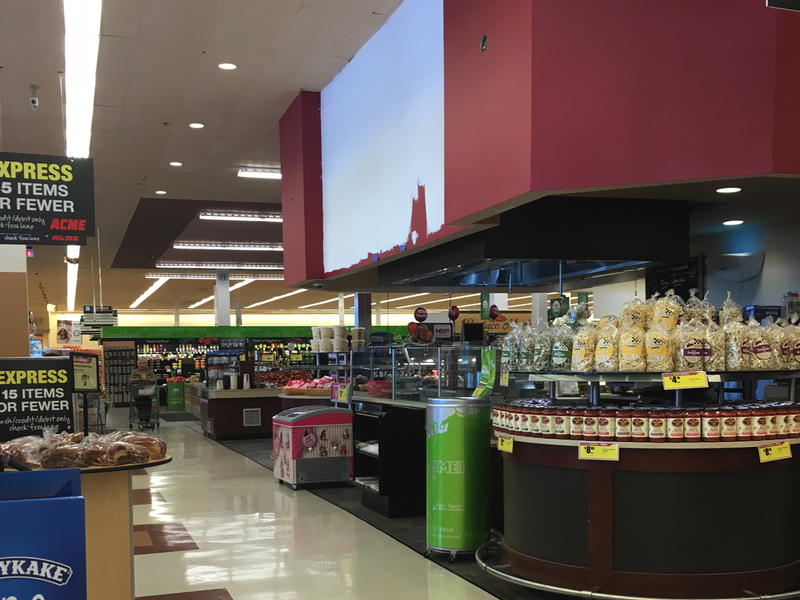 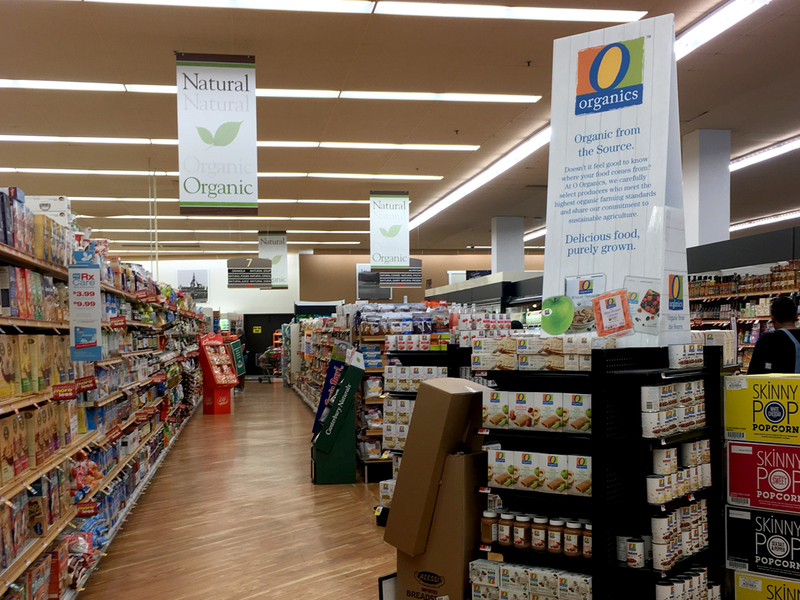 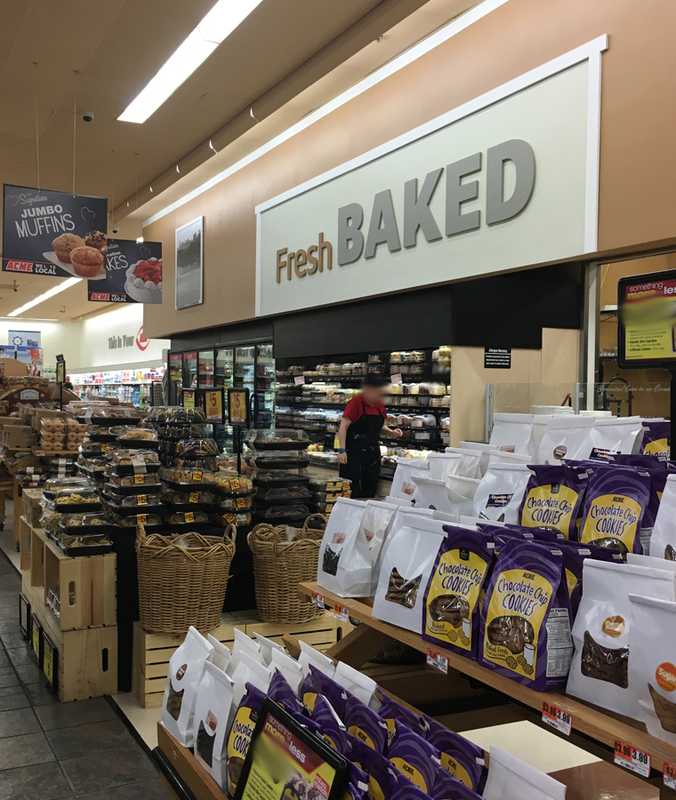 Acme opted to keep Pathmark's Natural and Organic rather than replacing it with their own. 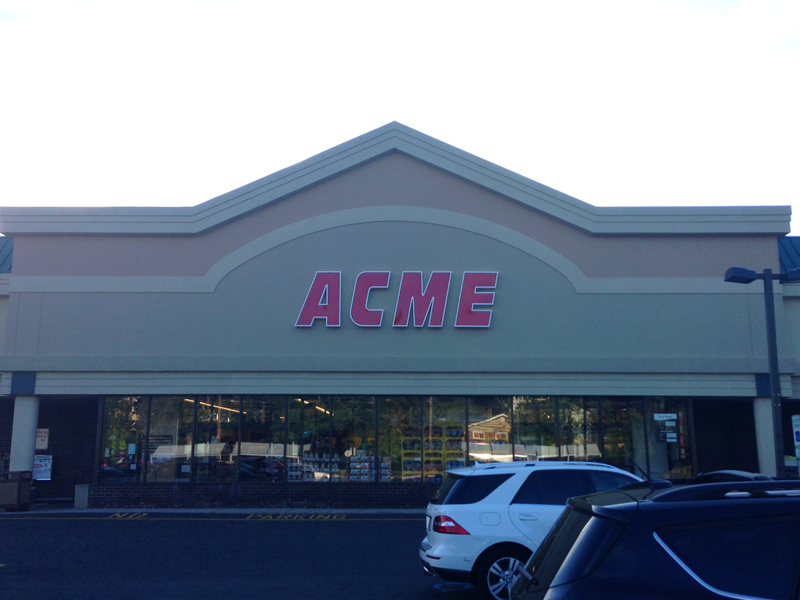 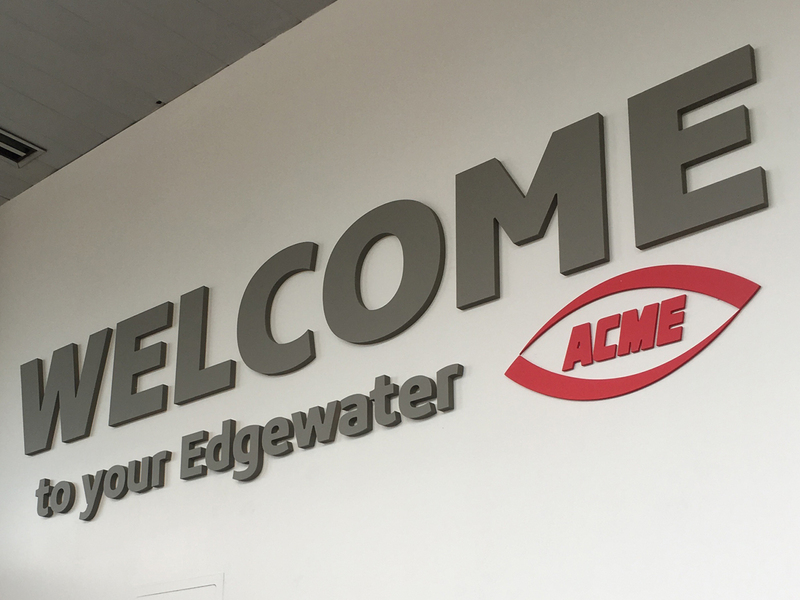 I continue to be blown away with the volume of business this Acme does. 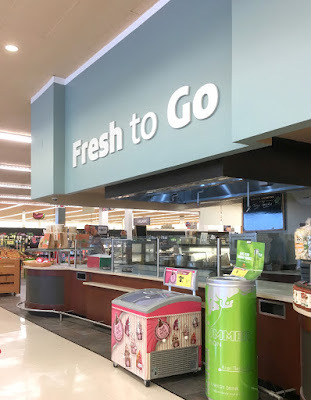 The Live Bistro is now Fresh to Go. Not much fresh food to be seen on this side of the department. 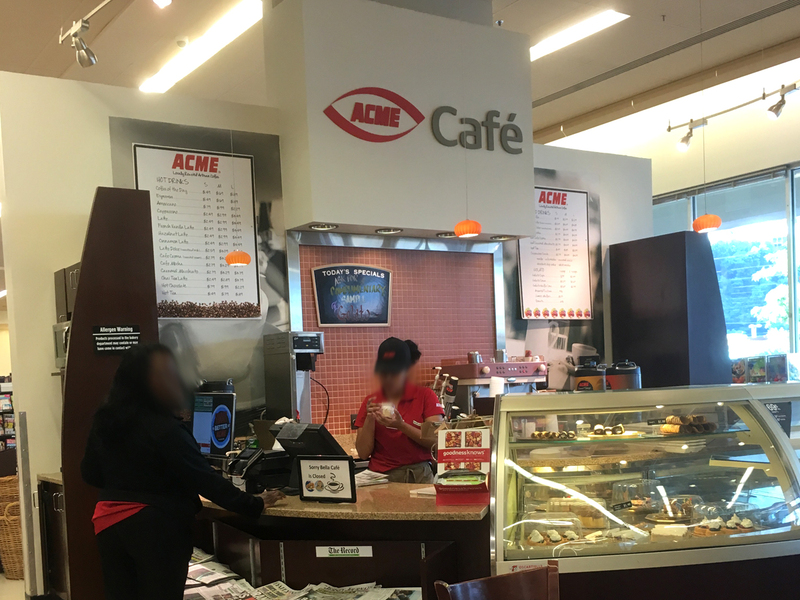 Classic Acme "Automatic Drip Coffee" Can! 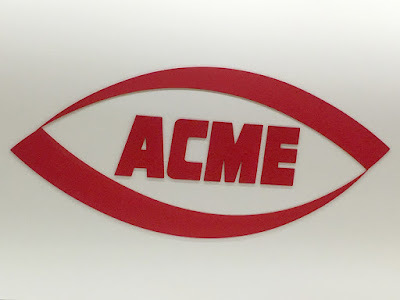 Classic Ad for Burlington Acme!